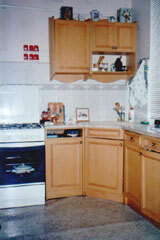 These apartments available ONLY to Euro Club clients. 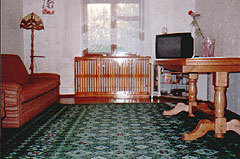 This 2 room remodeled Simferopol apartment is located in a quite area in the heart of the city. This 2nd story apartment has elevator access and self-contained hot water heater, a must in this city. 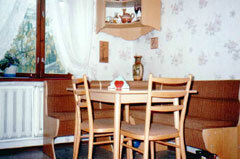 The apartment is simple but clean with a nice furnished kitchenette. Amenities include TV, VCR, stereo, telephone.